SuperXparts has been serving the Super X community with parts and service since 2000. We purchased our first bike in June of 1999 for $18,995.00, and have been die-hard Excelsior Henderson enthusiasts ever since. Concerned about being able to get parts once the factory closed, we began buying out dealer inventories and offering our spare parts to other owners. Later, we were given access to the Swift Motorcycle Co. inventory of Excelsior Henderson parts. We also purchased parts left in stock from the original suppliers to the factory. Now, we manufacture a number of items that serve as replacements or are improvements over the original parts. We owe the whole community our gratitude for the opportunity to help them keep their bikes on the road. 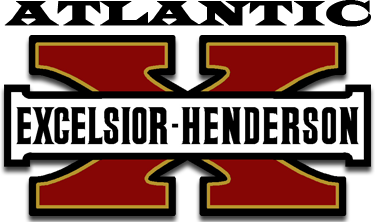 It has always been our primary goal, to keep the Excelsior Henderson dream alive and build a living history for this great American motorcycle we can all share.